Bottles of Coca-Cola wait to be loaded at a distribution facility. The American Academy of Pediatrics released a policy statement Monday endorsing taxes on soda as a way to reduce consumption and fight obesity. The policy statement from the American Academy of Pediatrics, along with the American Heart Association — two of the most prominent health organizations in the country — said that federal, state, and local lawmakers should consider taxes on sugary drinks as a way to reduce consumption. The statement cited Philadelphia’s 1.5-cent-per-ounce tax on sweetened drinks as a good example of using the tax revenue to help underserved communities; the tax funds pre-K, community schools, and the Rebuild program to improve parks, libraries, and recreation centers. “If the tax revenue is allocated to decrease health disparities or provide other services that promote health in these specific groups, the tax ultimately may be progressive,” the paper stated. 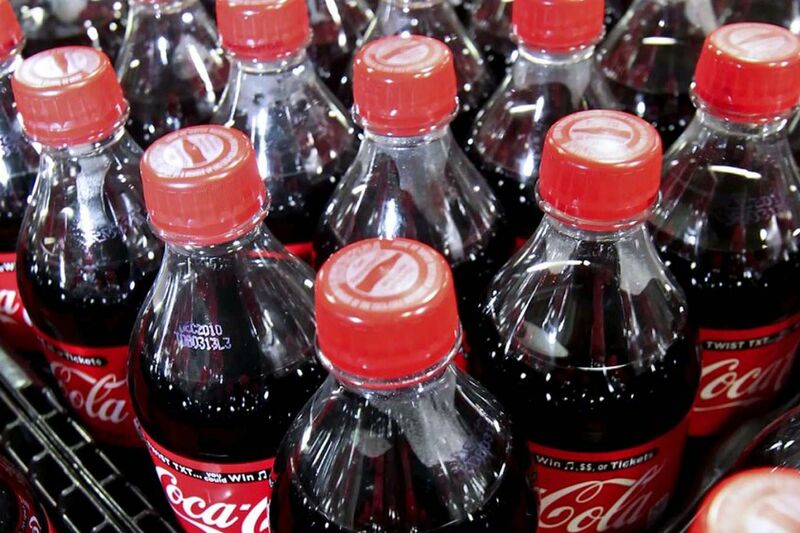 The policy statement noted that low-income residents bear a greater burden from taxes on soda, but said those groups also would benefit the most from the prevention of heart disease and diabetes. The endorsement from the pediatrician group comes as Philadelphia’s sweetened beverage tax faces increased scrutiny. It is expected to be a major issue in mayoral and City Council campaigns this year. Legislation introduced in Council this month could alter or repeal the tax, and Council voted last week to commission an independent study of the levy’s economic impact. The American Beverage Association, which has spent millions of dollars fighting such taxes in Philadelphia and across the country, pushed back Monday on the health groups’ statement. William Dermody, a spokesperson for the beverage association, said letting parents decide what their kids should drink is a better approach. “We are supporting parents who want less sugar in their kids’ diets by creating more drinks than ever before with less or no sugar, as well as smaller portion sizes, and by backing efforts to make water, milk, or 100 percent juice the default beverages restaurants serve with children’s meals,” Dermody said in a statement. Philadelphia Health Commissioner Thomas Farley noted that the article emphasizes taxes as the “number one recommended policy" to help reduce kids’ sugar intake. “So Philadelphians should be proud that we’re on the forefront of a movement to invest in our children’s education, which can also improve children’s health by lowering their sugary drink consumption," Farley said in a statement. The pediatric academy’s statement proposed applying to beverages the same approach used to reduce tobacco use. It cited studies about tobacco use that found consumption decreased as prices increased. The paper also called for: federal and state government support to decrease marketing of sugary drinks to children; work by federal nutrition programs to discourage sugary drink consumption; better access to nutritional information on products, menus, and advertisements; and policies at hospitals to limit the purchase of sugary drinks.